We still have a month left until Spring, and Winter is not going quietly for those of us in the Northeast. 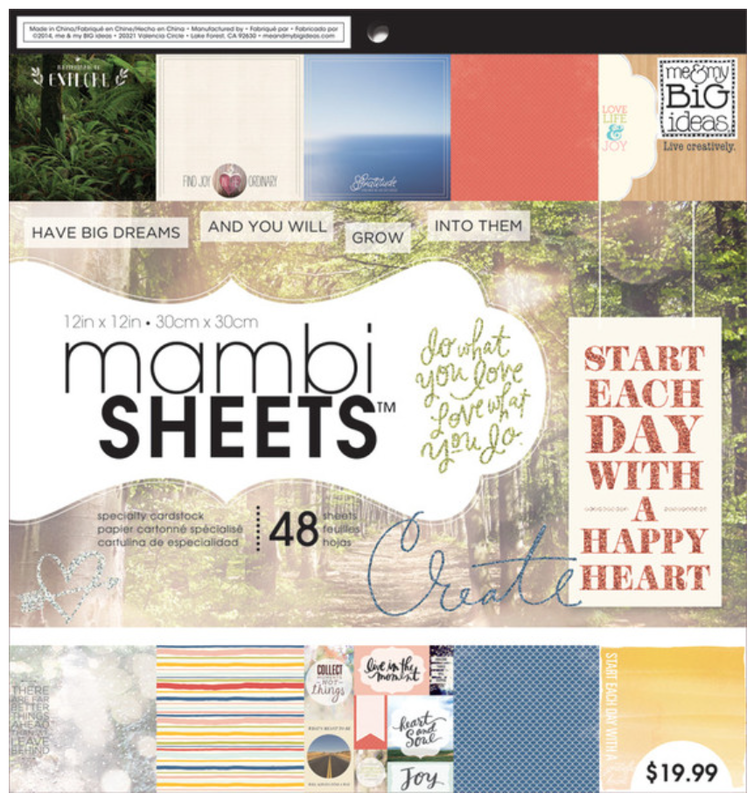 While most of us could go on and on with complaints about the cold, it's refreshing that mambi Design Team member Mary-Ann Maldonado calls outside in the snow a 'happy place' in this winter-themed scrapbook page. "I used a leaf sheet from 'Encouraging Words' mambiSHEETS that when trimmed down and turned to the side, looked like a snowy day to me. The whitewashed circles reminded me of blurry snowflakes. I emphasized these by punching out vellum snowflakes and adding chipboard flakes from the 'Baby It's Cold Outside' mambiCHIPS. I added machine stitching to these to ensure they would stay in place." 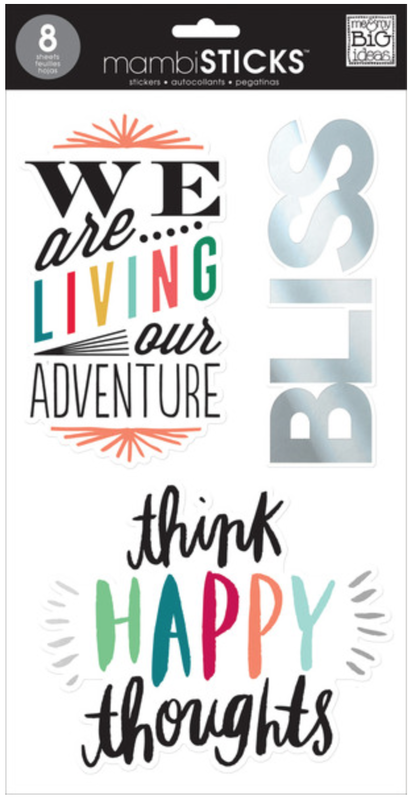 Mary-Ann incorporated so many great details in this layout, and the 'Happy Place' circle that takes center stage is actually a silver foil sticker from one of our new mambiSTICKS jumbo sticker packs.